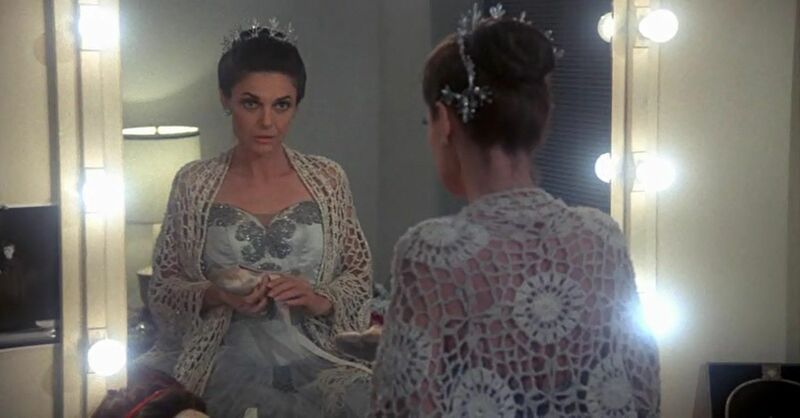 Emma (Ann Bancroft) contemplates her life as a Prima Ballerina in "The Turning Point"
Deedee (Shirley MacLaine) unexpectedly gives up ballet and moves from New York to Oklahoma to raise a family (who are all ballet fans) with her husband. When her old friend and fellow ballerina, Emma (Anne Bancroft), comes to town with her dance company and invites Deedee's daughter, Emilia (Leslie Browne), to join, Deedee is both excited for her daughter and nostalgic for her past life as a dancer. Jealousy and regret rise to the surface as Deedee and Emma both cope with their buried dreams.